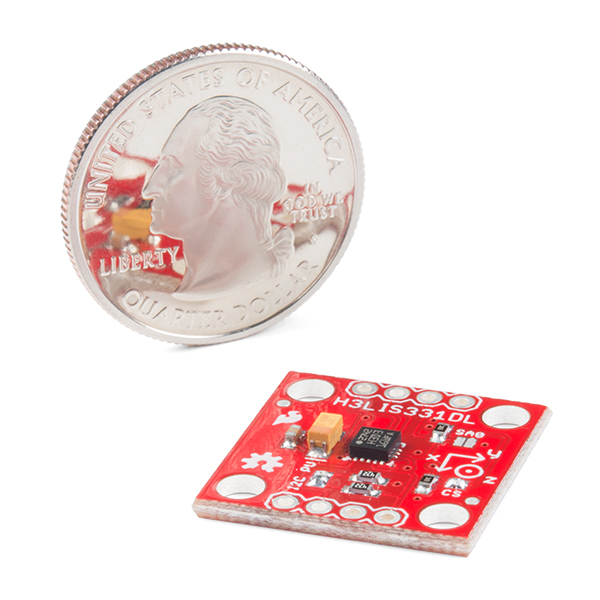 The SparkFun H3LIS331DL Triple Axis Accelerometer Breakout is a low-power, high-g accelerometer with I2C and SPI interface options. 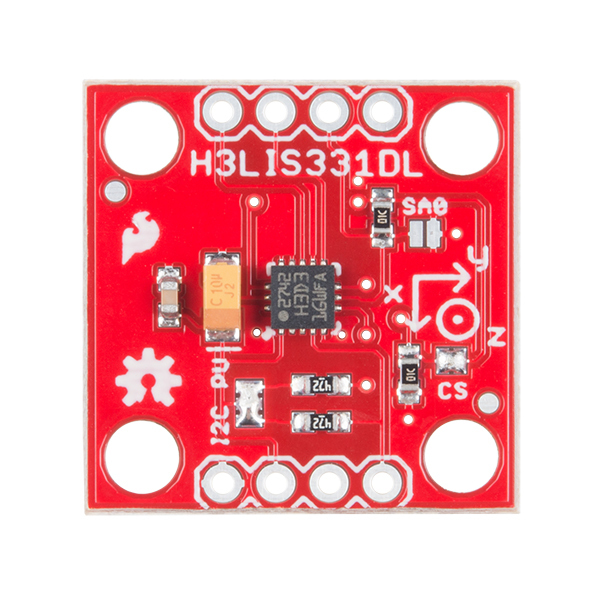 Though not necessarily good at detecting minute changes, the H3LIS331DL is great for grueling conditions that normal accelerometers aren't suited for. 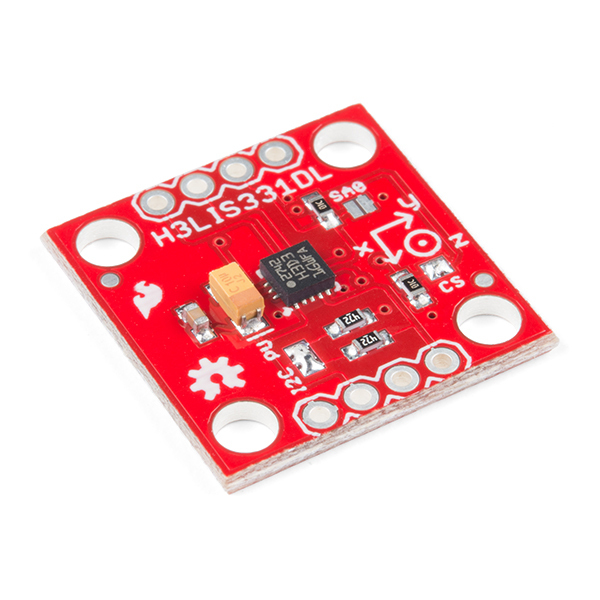 With a shock survivability of 10000g and a handy sleep-to-wake function, the H3LIS331DL breakout makes the perfect board for shock and collision detection as well as impact recognition and logging. This breakout offers an adjustable output range of 100, 200 or 400g, and an adjustable data rate of 0.5kHz to 1kHz. 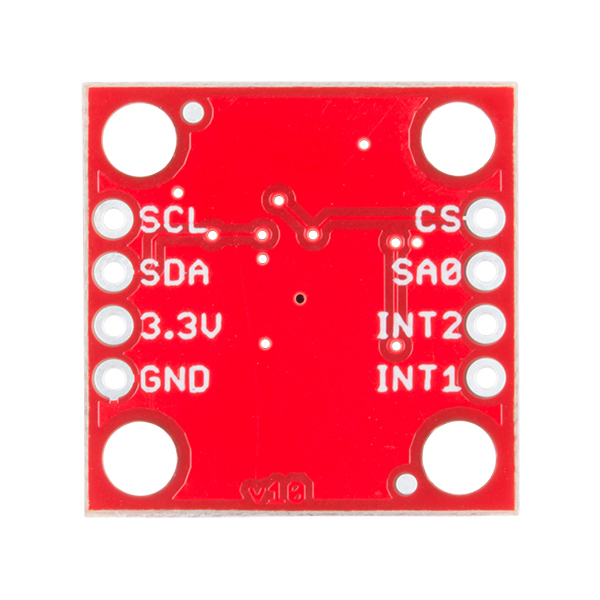 While normally operating at 2.16V--3.6V, the SparkFun H3LIS331DL Triple Axis Accelerometer Breakout does feature a pretty impressive low-power mode with low-voltage compatible IOs at 1.8V with a power consumption rate of 10μA. 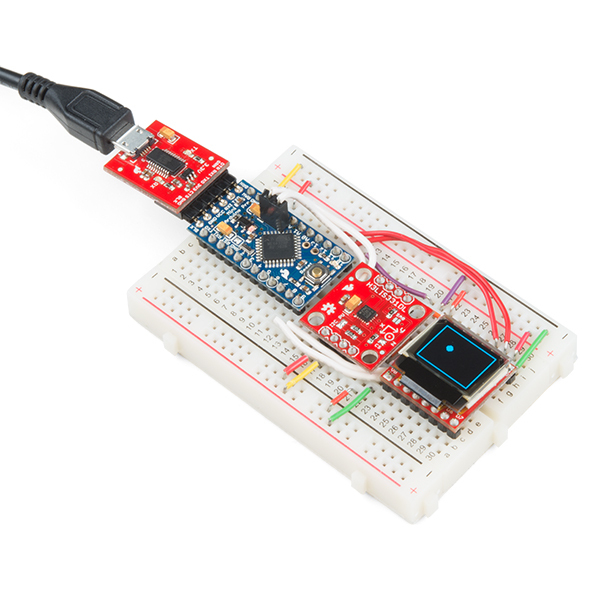 Each pin has been broken out into breadboard-friendly 0.1" pins, and we've also added convenient mounting holes that allow you to attach the breakout to whatever ingenious project you can think up. Hookup guide and library usage details for the triple axis accelerometer H3LIS331DL high-g accelerometer.